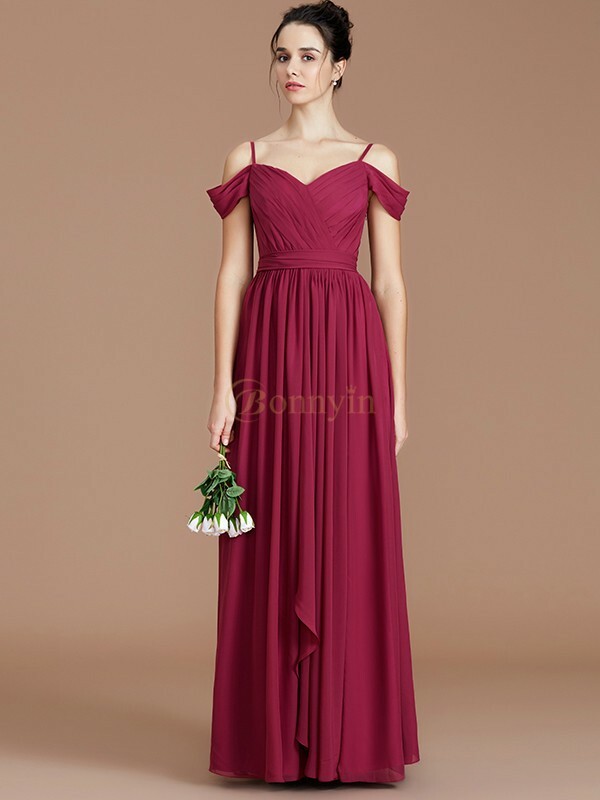 Welcome to Bonnyin online shop, enjoying your time now! 1. Chat with our customer service representative before you made a purchase. Start Chat Here! Login your account by Clicking Here to check through your orders. We can help you for any order tracking. * The dress is Made-To-Order even if you choose standard size. * Please refer to the right size for your body. * Standard Receiving Time = Tailoring: 20-30 Calendar Days + Shipping: 3-8 Calendar Days. The earliest arrival date is 05/11/2019 if order placed TODAY. 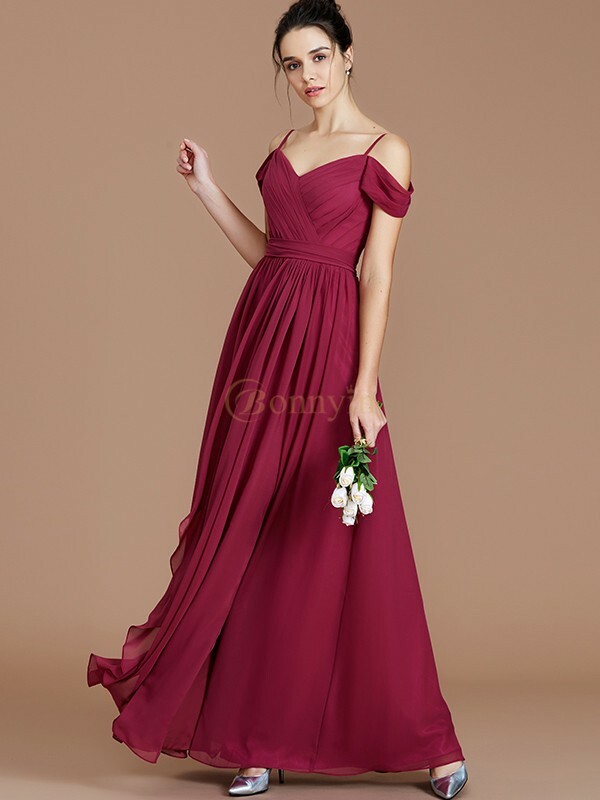 All dresses are made to order even if you choose "standard size". 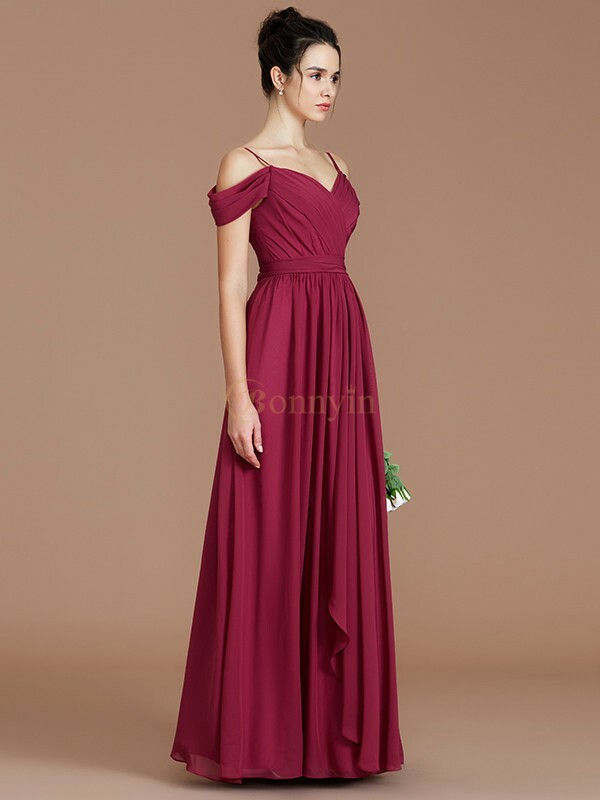 Cheap Burgundy Chiffon Off-the-Shoulder A-Line/Princess Floor-Length Bridesmaid Dresses in Bridesmaid Dresses - Wedding Party Dresses at Bonnyin.com.au online Australia with high quality and affordable price. Standard receiving time (Count from the date when you pay successfully) = Tailoring time (around 15-20 Calendar days) + Shipping time (around 3-8 Calendar days). To ensure the update rate and ordered supplies, the professional logistics center scientifically manage every piece of item. The fully-fledged and large customer service center will solve every requirement with their patience, make sure you shopping happily and rest assured. We use professional equipments for real shooting and color-correcting, make sure the color aberration is minimized. Start using extra-big image to show you the fabric texture and tiny details. At Bonnyin, delivering smile is the core value of our service. It means to deliver an attitude of optimism and positivity, a spirit of enthusiasm and passion, a service of sweet (comfort) and warm. We expect every staff to deliver smile internally and externally, it is a good way to build trust and result in word of mouth. 1.Under the premise of our endeavor 100% of your satisfying our product. In any case and unfortunate to receive message of dispute, please don’t worry, we guarantee an easy return. 2.With our huge respect and sense of hospitality, you will feel a lot of ease when surfing at Bonnyin. 3.Carrying smiley, speedy and patient manner, we caring any of your inquiries by instant live chatter, telephone or email in 8 major languages and accessible by multiple channels and platforms. 4.Full refund is guaranteed on your order must be accomplished no later than the designated processing period. Or even you may change your shipping address any time before order shipment. We have a wide range from the latest dress style to popular classic gowns for you to choose the perfect wedding dress. Let it accompany you in your happiest and lifememorial moment. Our factory was founded in 2005. We focus on producing gorgeous wedding dresses,ball gowns and other garments professionally. We have the best designers and experienced dressmakers. Our Work Flow Management System(WFMS)is fully applied to make sure the good quality of our dresses efficiently. Using high-grade 395 satin includes imported fabric.395 satin has soft touch thick texture and beautiful gloss.And it is heavier than any other type of satins. modern tridimensional cutting is fully adopted.The dressmaker will cut out a preliminary cloth pattern of dress directly off the mannequin.After a series of professional progress and adjustment,the clothpattern would be transformed into a more accurate paper pattern.Then the wedding dress will be tailored based on this. 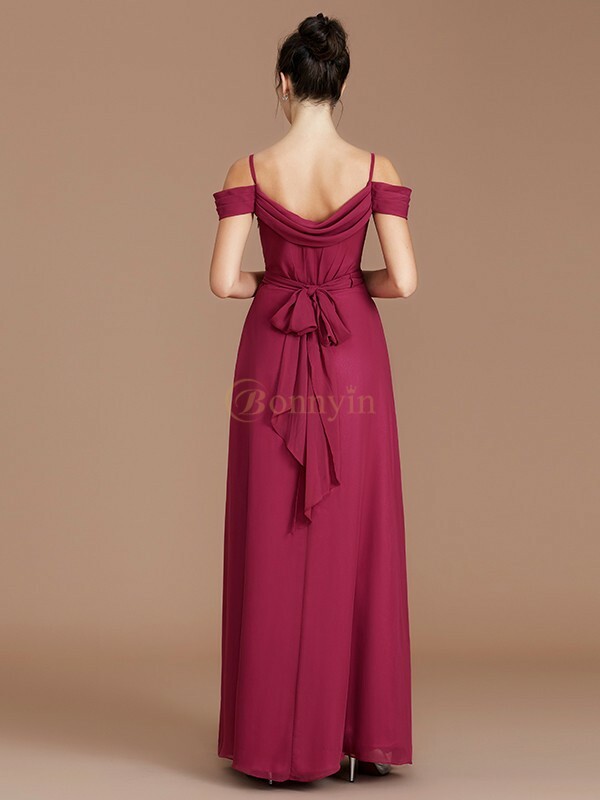 Our dresses are made with 4-7 high-density fish-bones,firm and elastic with perfectly fixing-effect which hold the body up straight and create a flattering shape.Besides,the fish bones would be almost invisible because of an evenly sewing technique.Security band are attached on the back to avoid uncomfortable awkwardness. Poor-quality wedding dress is roughly made with no fish bones which has no shape and looks cheap. skin-friendly cloth is lined in the skirt by 0.08-0.15cm evenly consistent needle code.Totally-enclosed overlock looks clean and elegant. the border of poor-quality dress' skirt has no lining inside,simple overlock with loose stitching,easily get worn out. In-built zipper needs lots of complicated works,but looks great and feels nice. All using YKK zipper are imported from Japan. On poor dress,the zipper is ungainly exposed,and they use cheap zippers on the bodice. Copyright © Bonnyin.com.au All Rights Reserved.